Share a ride, and enjoy up to 30% lower fares. Share your ride, and enjoy lower fares. GrabShare allows you to carpool with multiple parties headed in the same direction. By sharing the ride, you can get up to 30% lower fares compared to that of GrabCar. Pay up to 30% less than GrabCar. Enjoy a fun conversation on your way to your destination. Enjoy a private car ride, even on a budget. Sharing a ride with other passengers will help the environment. Pick-up. Carefully select your pick-up point, so your driver can get to you quickly. Be on time! Your driver will wait up to 3 minutes. Contact your driver to ensure a smooth pick-up. You can bring one friend. If you have 2 passengers or more riding with you (including children), please book GrabCar instead. Matching. You can be matched with other riders at any time during your trip. Drop-off. Drivers must always follow the drop-off sequence shown in app. Additional stops won’t be accommodated. Secure your belongings. Have everything with you before you get down. 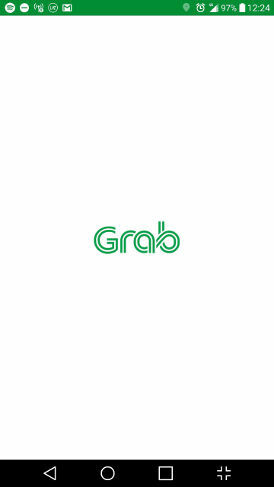 Select the GrabShare icon. Set your pick-up and drop-off points. Tap ‘Book’, and you’re on your way! GrabShare is an on-demand carpooling service, you can book at any time at a reduced cost and it allows you to carpool with multiple parties headed in the same direction. Who are our GrabShare drivers? 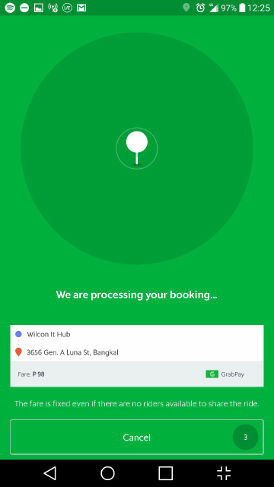 All Grabshare drivers are from Grab’s professional GrabCar fleet. 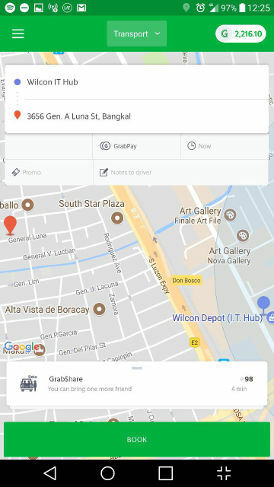 How much will I save by using GrabShare? GrabShare fares can be up to 30% lower than GrabCar fares. How will I know if I’m sharing a trip with other passengers? Just check the Grab app! Remember, you can be matched with other passengers at any time during your ride. Will I be charged for toll when on a GrabShare ride? Scenario 1: Only one passenger is onboard when the car passes a toll gate. Result: Toll charges to be paid by passenger. Scenario 2: Two passengers are onboard when the car passes a toll gate. Result: Toll is split equally between both passengers. Scenario 3: Passenger A is onboard. Car passes a toll gate, and picks up Passenger B. Result: Passenger A is charged toll. Passenger B is not. How many people can I bring on my GrabShare ride? Bring only one (1) friend, so that everyone can be seated comfortably in the car. If you’ll have two passengers or more with you (even if they’re children), please book a GrabCar instead. Maximum of 3 minutes, at your selected pick-up point. If you need more time, contact your Grab driver at once for a smooth pick-up. Will I be able to change my destination once I’ve booked my ride? No. If you wish to change your destination, simply cancel the ride and book a new one. How will I know who’s being dropped off first? Just check the Grab app. Can I request to be dropped off first? No. The driver must always follow the drop-off sequence in the app. This is the quickest route between your drop-off points. If you’re in a hurry, consider booking a GrabCar instead. Can I tell the driver how to get to my destination? No. The Grab mapping tool finds the fastest route to your destination. Please trust the route determined by the app.